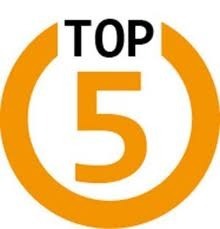 Top 5 Wednesday was originally created and run by Lainey aka gingerreadslainey (Youtube channel) but it is now being run by Sam aka Thoughts on tomes (Youtube channel). Each week there is a different topic. You can check out the groups Goodreads page here for any more information and the future topics. This week’s topic is characters on the naughty list. So the first three I mention are just characters that I really don’t like and the remaining two are well written characters/villains that definitely deserve to be on the naughty list. Let’s get started. That’s all I have for you guys today. Do you have any characters you think should be on the naughty list this Christmas? I hope you are all having a wonderful day and I will see you next time.